Alexis One is not yet complete, and i am currently starting not one but 2 projects at the same time, was only planing on one. 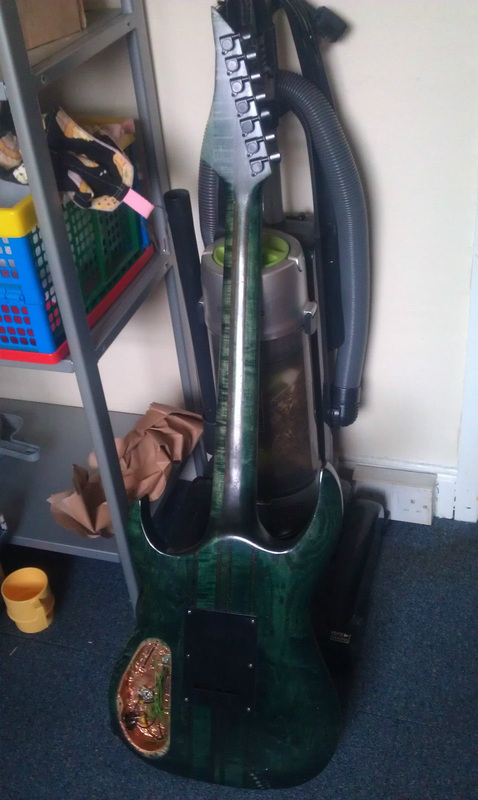 I won a ebay sale on the end off the last year, a 7 sting neck trough guitar, this are from some kit guitars but believe they no longueur make it, there's similar ones but 6 string. The pricing was a bit more than i wanted to pay for it, but 7 string Floyd rose neck trough guitar maple/bubinga on the neck, ash wings is not some thing you could get cheap from any brand. 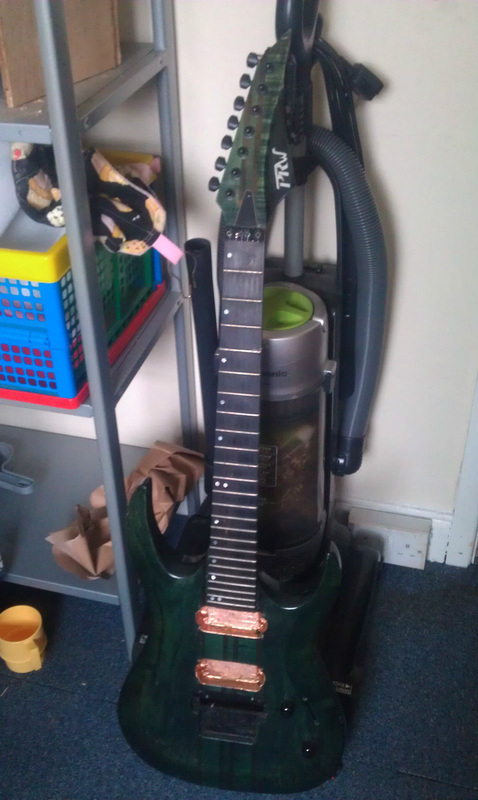 The previous owner bought this from ebay a couple years ago, replaced the rosewood fretboard with a ebony one carved the body and modded the headstock stained it green and lacquered. Later on he had to sold the the bridge and pickups and it was never finished. 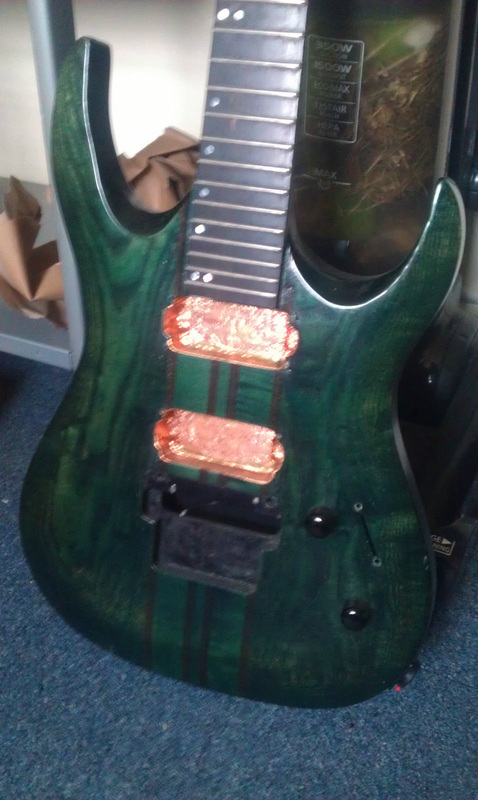 So this guitar was only needed bridge and pickups. The original photos posted by the seller, this guitar arrived to me on a Saturday and after unboxing this guitar for me it needed more than just the bridge and pickups. http://s590.photobucket.com/user/PRWilson88/slideshow/7%20string%20eBay%20sale Additional photos from seller.